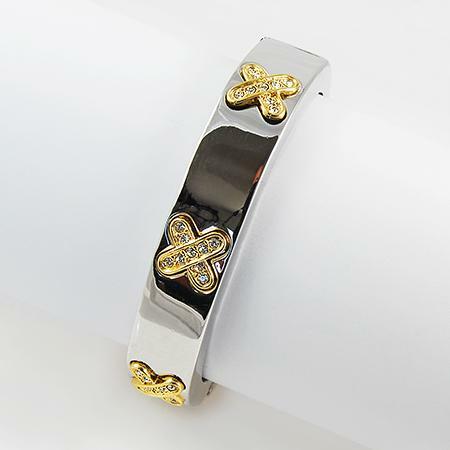 2-Tone Austrian Crystal Extreme Bangle Bracelet in Gold with Silver "X"s accented with crystals. Has a locking clasp. Please Note:The bracelet pictured above in photo (Silver bracelet with Gold "X"s) is no longer availlable. 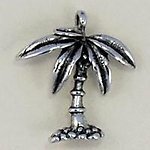 Palm Tree Charm in Silver or Gold finish.